Hi, everyone. My name is Susan, and I wrote a story. Obvious, I know, but that’s why I’m here today: to talk about what exactly I wrote. 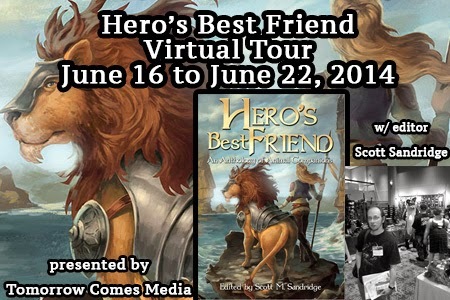 By now I’m sure you’ve all heard about Hero’s Best Friend, the anthology edited by Scott Sandridge. If not, you really should go out and get your copy right now. 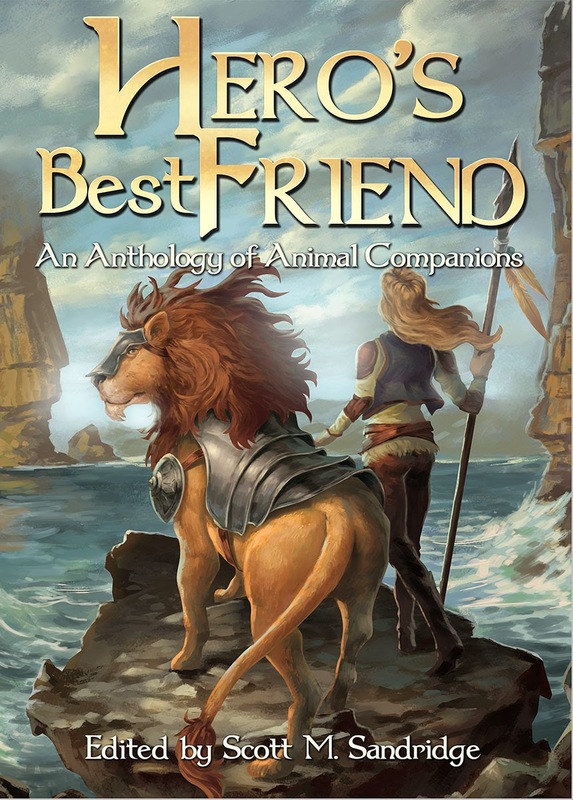 It’s a fun book, filled with stories of animal companions in interesting situations. And not just because of me. I have a story in it called Look What the Cat Dragged In. It’s a little bit different than your standard fare animal companion stories, as this one is a contemporary murder mystery written from the point of view of a cat. And not just any cat… a talking tuxedo cat named Miko. See, I used to have a whole collection of outdoor cats. My husband is a bleeding-heart sucker with a soft spot for furballs, and he started feeding them. So they kept coming. At one point we had sixteen cats outside who would come up to eat four or so times a day. One of them in particular was a pretty tuxedo cat, and he was a talker. He would sit and chatter endlessly regardless of the fact that we couldn’t understand a word he said. But he also had a deplorable habit: bringing me “presents” that were often still moving. I would like to think that if I had a talking cat and he put me in the predicament Miko put his human in, my cat would be willing to help me out a little too. Whether you're a fan of Epic Fantasy, Sword & Sorcery, Science Fiction, or just animal stories in general, this is the anthology for you! So sit back, kick your feet up, and find out what it truly means to be the Hero's Best Friend. Joy Ward: "Toby and Steve Save the World"
Cassie Schau: "The Hunter's Boy"
S. H. Roddey: "Look What the Cat Dragged In." Steven S. Long: "The Wolf Sentinel"
Ian Hunter: "Scarheid in the Glisting". David Wright: "Wind of Change"
Renee Carter Hall: "The Emerald Mage"..
Nick Bryan: "The Violet Curse"..
Lillian Csernica & Kevin Andrew Murphy: "The Restless Armadillo". Douglas J. Ogurek: "Stuck on the Squigglybounce"
Sounds well worth a read. Thanks for highlighting this one!